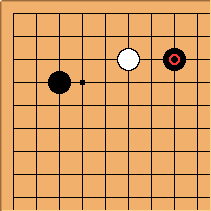 There are some examples in pro play of White ignoring the pincer . Black can then play at a or b here. White may well ignore Black a, as well.